About Me - Laura Reid Marks, Ph.D. I am currently an assistant professor in the Counseling Psychology program in the Department of Counseling, Educational Psychology, and Research at the University of Memphis. 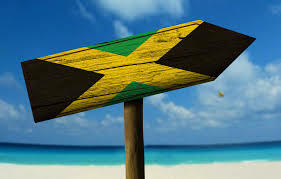 I am originally from Kingston, Jamaica. I immigrated to the US in 1999. I graduated with my bachelors degree, masters and education specialist degrees from the University of Florida in Gainesville. Go Gators! For my doctoral training in counseling psychology, I moved to Indiana and attended Purdue University. Go boilers! I completed my pre-doctoral internship at Arizona State University Counseling Services in Tempe. I am now happy to call Memphis home. I enjoy reading, watching television dramas, playing tennis, yoga, traveling, and spending time with my husband and son, my family, my friends, and my two dogs.